Whiteboard eraser makes removing marks fun and efficient. 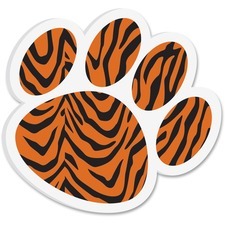 Paw-shaped design features a tiger pattern to build an animated atmosphere. Built-in magnet sticks to magnetic boards for quick access and easy storage. Lightweight construction allows comfortable handling by both children and adults. Whiteboard eraser is perfect for classrooms, offices and more. Whiteboard eraser makes removing marks fun and efficient. 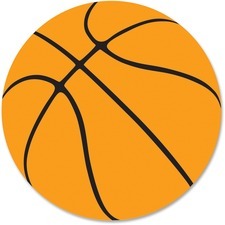 Friendly design features a basketball print to build a lively atmosphere. Built-in magnet sticks to magnetic boards for quick access and easy storage. Lightweight construction allows comfortable handling by both children and adults. Whiteboard eraser is perfect for classrooms, offices and more. Eraser lifts graphite lead markings off paper without scratching, tearing or ghosting. Pen-shaped eraser features a handy pocket clip that advances and retracts eraser with a "clic." Rubber grip offers comfort during extended use. Refillable. Dryline Correction Film corrects instantly with excellent coverage. Strong tearproof film resists breaking and applies dry for instant corrections. Transparent side advance dispenser lets you monitor tape supply and see your errors as you correct them so you never use too much or too little tape. Ideal for correcting single or multiple lines before copying or faxing. Turn-screw feature allows you to rewind your tape in case of looping. Dispenser is nonrefillable. 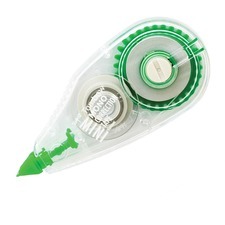 Single-line correction tape in a transparent applicator pinpoints and corrects mistakes quickly, cleanly and completely. 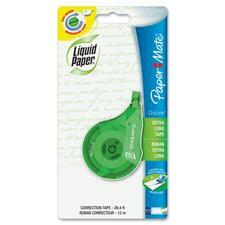 Premium tape lays down smooth and blends well with paper so you can write on it with pen, marker or pencil. You can make instant corrections with no drying time for no mess and no waiting. Dual Gear technology and self-tightening mechanism prevent looping and pulling of the tape. Compact size is great for backpacks and planners. Nonrefillable dispenser is made with a high percentage of post-consumer content. Whiteboard eraser makes removing marks fun and efficient. 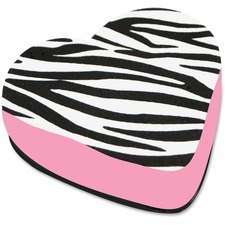 Heart-shaped design features a zebra pattern to build an animated atmosphere. Built-in magnet sticks to magnetic boards for quick access and easy storage. Lightweight construction allows comfortable handling by both children and adults. Whiteboard eraser is perfect for classrooms, offices and more. Multipurpose correction pen works on pen ink, faxes, laser and inkjet printers, copies, and more. 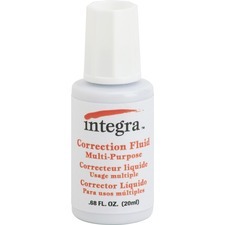 Metal point applicator directs fast-drying correction fluid precisely where needed in a fine line. By varying the degree of pressure with which the barrel is squeezed, the flow of correction fluid can be regulated. Ergonomic cushion grip is made of nonslip rubber. 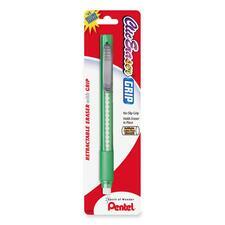 Correction pen also features a durable plastic clip cap to attach to notebooks and pockets. Retractable pen-shaped eraser offers a clean and easy way to erase pencil markings. Click handy pocket clip to advance as much as you need. Click to retract to keep eraser clean. Nonabrasive eraser removes graphite lead marks cleanly and completely. 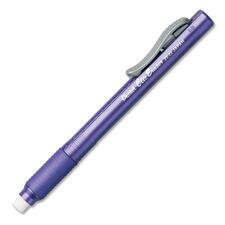 Solid barrel has a latex-free rubber grip for extended erasing comfort. Refillable with Pentel ZER2 refill eraser. 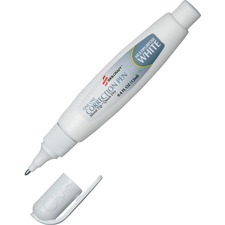 Brush applicator corrects errors on surfaces, including typing, photocopies, pen ink, and faxes. Smooth application of correction fluid prevents spills and blotting. Does not require thinning. Environmentally safe and ozone friendly. Correction fluid contains mixing bead.